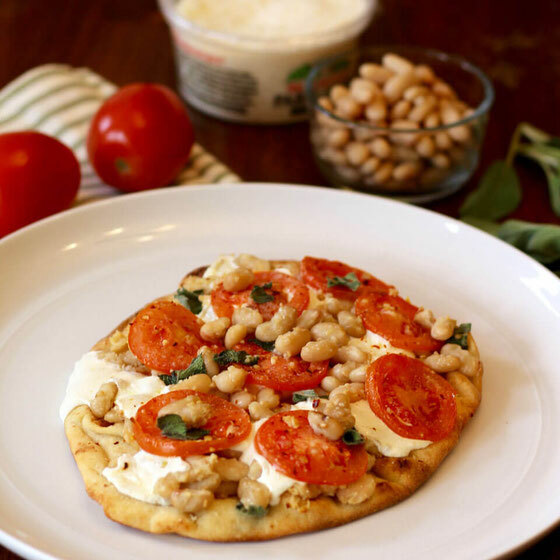 This delicious naan pizza recipe is a fun take on pizza provides a balanced meal. Dig in! pizza that's also a nutritious meal. As a vegetarian, I'm often frustrated by dishes that don't supply enough protein to power me through my day. 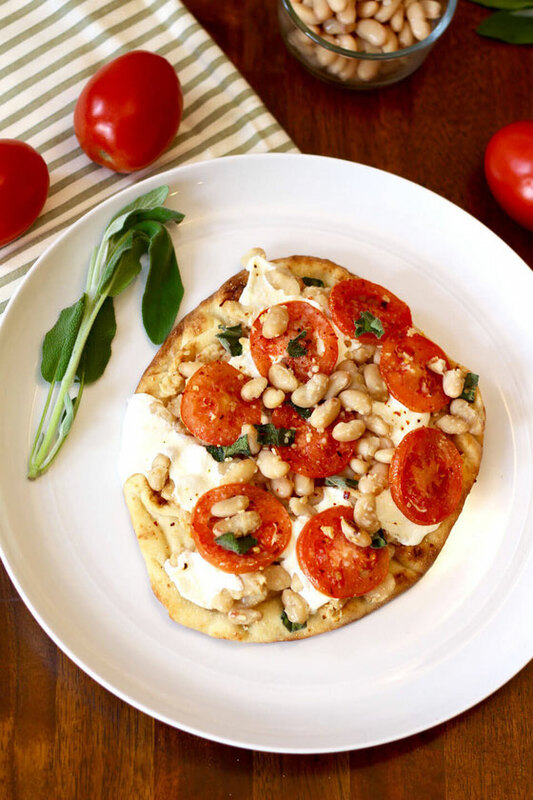 So I set out to make a naan pizza recipe that offers an excellent amount of satiating protein! 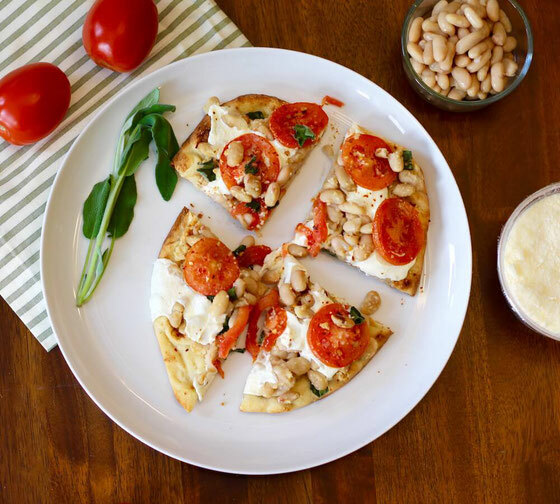 Each serving of this pizza offers 16 grams of protein, or 32 percent of the daily value. This is due to the white beans that I used as a base and a topping, as well as the mandatory mozzarella! I hope you enjoy this pizza. It makes a great lunch or dinner! Preheat the oven to 400 degrees Fahrenheit. In a bowl, combine beans, olive oil, and garlic. Reserve a third of the mixture; set aside. Mash remaining mixture with a fork and spread on top of naan. Top with mozzarella, tomato slices, and remainder of bean mixture. Add red pepper flakes, Parmesan, and sage. Bake 12-15 minutes. Slice and serve. Serves 2. What are your thoughts on this topic? What are your favorite pizza toppings?